If you’re all about the customer and delivering a seamless customer experience online while showing absolute professionalism, then Executive Pro is what you need. This theme is great for any serious marketer, blogger or business owner and especially suitable if you love to display your photography. Executive Pro is a blend of simplicity and elegance, class and professionalism while maintaining enough white space to avoid being too busy. Readers will have no problem staying focused on the content without anything to divert their attention. If you want clean, cool, easy flowing and professional, Executive Pro is it. You have so many features and widgets available. Build landing pages and opt ins as you wish while increasing your list of subscribers. On top, this is quick loading, fully flexible and is coded to perfection by world class developers. Most importantly, this theme has cross browser compatibility and works across all devices. A large part of your audience will find you through mobile so rest assured that they will have as great of an experience on mobile as they would on a desktop, tablet or laptop. 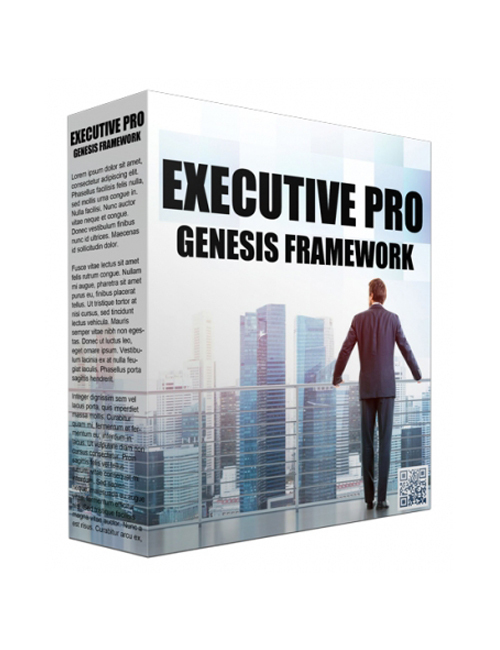 If you want to be a pro, then grab Executive Pro now.